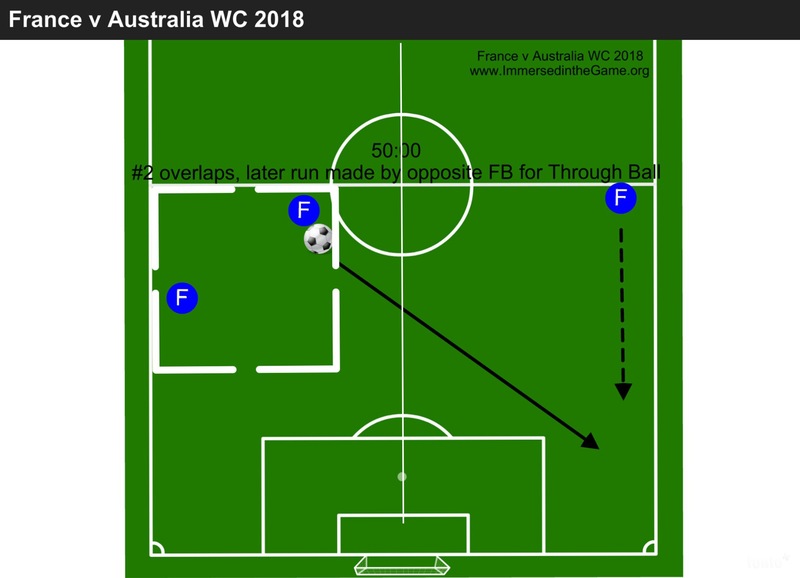 Some analysis of the French Men’s National Team during the 2nd half of the World Cup 2018 group game between France and Australia…. The wide Defenders attacked at different heights, creating an overload into the Final Third of the field. Now, more evidence that the Key Player for this phase of the play, is the Central Midfielder, Kante. 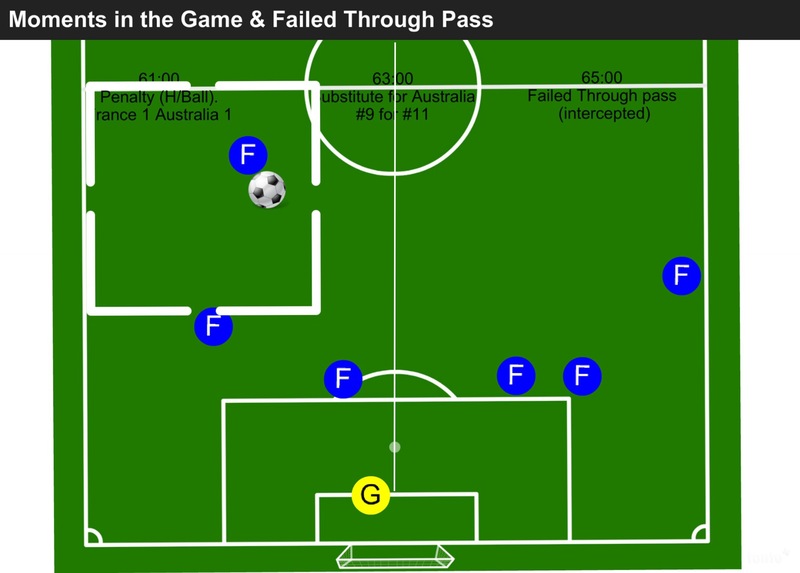 Game Changing Moment: The award of a penalty to France. 1-0. 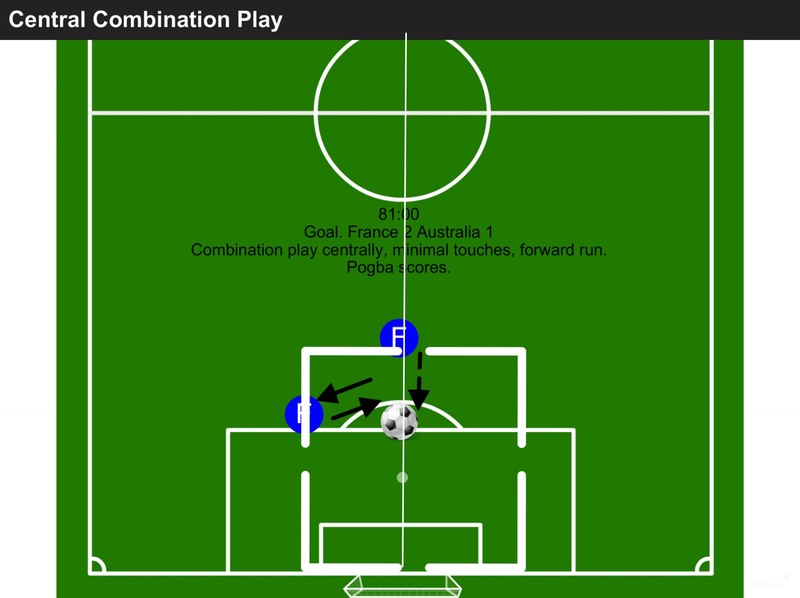 Momentum changes, and we see France attacking into the Final Third, quicker, with 5 players ahead of the ball. Game Changing Moment: A second penalty. The Australian’s look to enhance their Attack. France retain their plan, yet are less successful. Mental dominance is with the Australians. Making errors with the delivery. The team are still Creating opportunities, yet the Finalisation is not present. 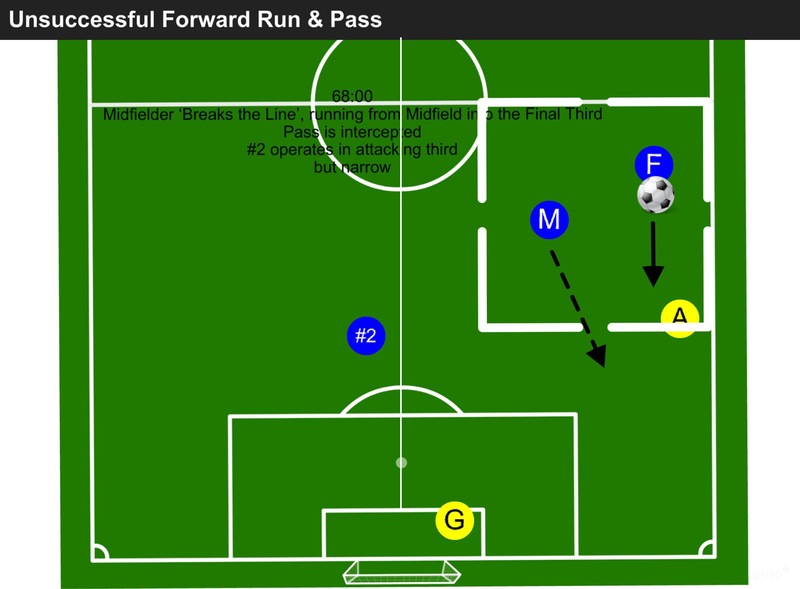 The Forwards are not effective, the ball is either not getting to them, or not staying with them. Substitution made and system changed. Midfielders are now looking to combine and advance. The wide defender operates in a central position, which shows intent of where they want to attack and attract the ball. The Key player is now Giroud, who acts as the focus of the attack and when the team are out of possession, he looks to regain quickly. Players look to combine wide, which has not previously been successful. Again, not successful. After some failed attacks, the players drop back, and leave Kante to Create opportunities from the Middle Third into the Final Third.